I hope that Using Mind Maps will change and enhance your life and that UsingMindMaps.com will become one of your preferred sources of Mind Mapping guidance. Our site is very young, but already we are getting good feedback to the content we provide. Our advice is based on over two decades of experience and on using Mind Maps in various situations. We are also not solely aligned to any Vendor. This allows us to give you guidance without bias to any product. But it doesn't end there, you can also give your input to what you would like to see on our site. Use our feedback form to do this and we will do our best to accommodate you. The site was launched in mid January 2010, after much deliberation. We wanted to provide easy to use information on using Mind Maps, as well as share our knowledge and experience with different Mind Map resources. We feel that there is a need for the voice of ordinary people using Mind Maps. Our experiences with Mind Maps have transformed our lives. Our lives are more productive, more creative and more fun! All because of Mind Maps. We are not Mind Map gurus, geniuses, or memory champions but we believe that we are ordinary people doing extraordinary things using Mind Maps. The decision to go for an information site was based on the philosophy that you must give before you receive. For this reason, you will find lots of free information with lots more to come. We understand the challenges of changing from linear thinking to radiant, Mind Map thinking and hope that there is enough information to guide you along the path to using Mind Maps more and more in your daily life. If you have not used Mind Maps before, you will probably be pleasantly surprised at all the applications where Mind Maps can be used. If you are a seasoned Mind Mapper, we hope that our experiences will also enrich your life. We would also like to hear your story. The 'How to Mind Map' series of topics are designed to take you from your linear way of working to a new radiant, Mind Map way. To get you started, we found that tackling abstract topics is too great a step and therefore suggest you start by Mind Mapping the characteristics of tangible objects before you go on to more abstract topics. You will probably start by simply listing the characteristics as branches off the central topic, but as you continue, you will begin to use categories and hierarchies. We strongly suggest that you use the Free interactive Mind Mapping Course, which you received on subscribing to our newsletter. I see that many of the newsletter subscribers have not made the effort to enrol for the course. This offer can get you Mind Mapping in no time. You will also learn the Mind Map Principles and the steps in creating a Mind Map in this topic area. Also, look at the examples on the site to help you learn how to Mind Map. This is where it all started. Using Mind Maps to learn will change the way you learn forever. The Education section will show you how to change the way you take notes, help you improve your memory and read with greater speed and comprehension. 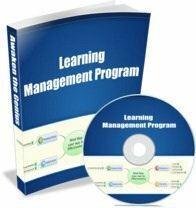 You can enrol for our Free Email Course on putting together your own Learning Management Program, or you could buy our Learning Management Program Ebook to kick start your learning. This is our latest topic and it is still in progress. You will be astounded how using Mind Maps in your business can give you a competitive advantage. There is still a lot more to come...Updates in next month's newsletter. Mind Map Software will change the way you Mind Map. Many people only really start Mind Mapping once they have obtained Mind Mapping Software. You can find information on free and commercial software on our site. We foresee this topic to grow substantially over the next few months. We have lots of experience in Mind Map Software and have used it in many areas. So keep an eye out for updates in our next issue. Changing from your Linear ways to using Mind Maps will not be easy, even though it looks easy and all the Mind Map gurus tell you that it will be easy. While it will not be easy, it will be worth the effort. We will provide you with continuous guidance to make your Mind Mapping journey easier and more fun. We believe that Mind Maps are the most structured and proven tool to help you get the best out of your wonderful brain and therefore the best out of you! Mind Maps naturally combine the artistic, creative side and the logical, analytic side of your brain. This holistic use of your brain will take your brain usage to surprising, new levels. But you have to do it to get the benefits. You cannot just read about it. We have found that many people start out using Mind Maps, but later go back to their old linear ways. Resistance to change is often underestimated. You have to keep at it if you want to become good at it. We therefore suggest that you use Mind Maps mainly for summaries in the beginning. This assumes that you already have a linear note in place. This can be a 'To Do List', a project plan, or study notes. It does not matter. Don't discard those notes immediately. Take the notes and make a Mind Map summary of the notes. This will keep your Mind Maps simple and condensed. Use the summary Mind Maps in conjunction with your linear notes. You can even use the Mind Map summaries to memorise the linear notes. The Mind Maps can also be a trigger for the detailed notes. Soon you will find yourself referring less and less to the linear notes and more frequently to the Mind Maps. Eventually, you will be able to discard the linear notes completely. We find that most people continue to use Linear and Mind Map Notes even after they've become expert Mind Mappers. 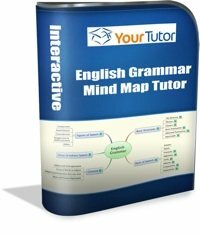 We have developed a system, called a MindMapTutor that combines Mind Maps and Linear Notes in a unique way. The articles on our site are written using this method. We have also started a section on our site where you can download MindMapTutors, to not only get familiar with the method, but also enrich your life. We trust that this first newsletter is informative and helpful. We will continue to refine it based on your input. So please give us feedback and suggestions.